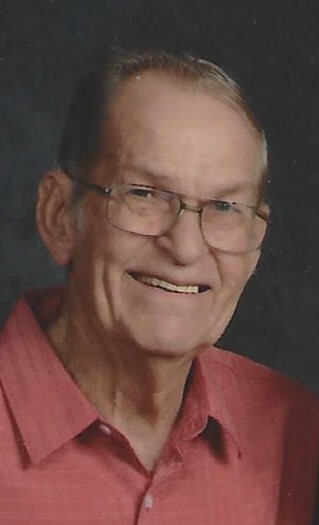 Donald L. Maxwell, age 83 of Crawfordsville passed away on Sunday, April 14, 2019, at Ben Hur Nursing and Rehabilitation. He was born in Crawfordsville on June 6, 1935 to the late Lawrence K & Esther Elizabeth (Hutchison) Maxwell. Donald graduated from New Market High School and was the team captain of the basketball team. He then proudly served his country in the United States Army and was a member of St. Bernards Catholic Church. He married Beverly Ann Kohl on August 6, 1960 in Crawfordsville. Don worked at RR Donnelley as a book binder for 40 years, retiring in 1995. After retirement, he loved spending time in Florida every winter with Bev. He loved blue grass music, playing the banjo, enjoyed woodworking and fishing; but most of all loved spending time with his family, especially his grandkids. He is survived by his wife of 58 years, Beverly; three children, David Maxwell, Marcia VanCleave, and Linda (Gerald) Williams; four grandchildren, Blaine VanCleave, Reese VanCleave, Skyler (Samy) Williams, and Shelby (Jesus Bonilla) Williams; four great-grandchildren, Liam, Dean, & Nadeem Williams and Olivia Bonilla; four brothers, Wesley (Neva) Maxwell, Bob (Linda) Maxwell, Bill (Marna) Maxwell, and Marion (Mary) Maxwell; two sisters, Betty Jane Harris and Susie (Denny) Dexel; sister-in-law, Dorothy (Hubert) Danzebrink; and several nieces and nephews. He was preceded in death by his parents and two sisters, Catherine Brand and Mary Jo Maxwell. There's still time to send flowers to the Visitation at the St Bernard Catholic Church from 4:00 PM to 7:00 PM on April 22, 2019.